THE MTHETHWA’S FIRST WEEKEND AS PARENTS! 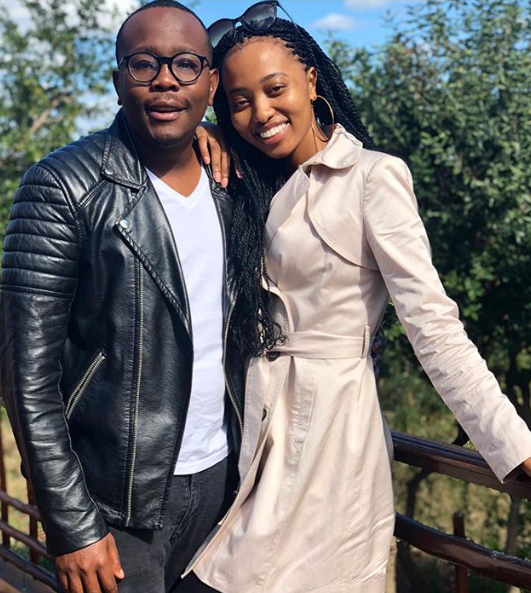 Ntandoyenkosi and Khaya Mthethwa are Mzansi’s newest celebrity parents and as expected, they are beside themselves with joy. Unlike Reason and LootLove, the happy couple has let their fans in on their first couple of days as parents; the joys, disappoints and even the nappy-changing boo-boos. Their son, Oyinkosi Mthethwa was born on Friday, 08 February 2019 and already a sneak peak of the baby boy has been released. This is a huge and unexpected step as most celebrity parents wait at least two months before giving the public such intimate glimpses into their family’s new addition. Although mommy Ntando is the one who gave us a peak of the baby’s face, daddy Khaya has admittedly been a bit more open about the whole process. However, taking to her Twitter page, Ntando has shared her thoughts with the world, calling this season in her life, “perfection”. But there is one little thing that has the new mommy quite disappointed. “When you carry a child for 9 months and he comes out looking nothing like you...” she said. Meanwhile, Khaya, who broke news of the delivery, has been quite vocal about being a first-time parent. “I experienced a love I never knew existed! Ntando I have no words to thank you Sthandwa Sami. Ngiyabonga (thank you),” he said. He also called the birth of his baby the ” best days of my life”. In a short Twitter exchange with Queen B*, Khaya agreed with her when she said that this past week had been the most incredible week of her life. PIC: NTANDO MTHETHWA SHOWS OFF BABY BUMP ON MAGAZINE COVER! So what’s the one thing Khaya still has to get a handle of? The art of changing nappies of course. “Made a mess of my first nappy change yesterday... I respect full time fathers,” he joked this morning. My mornings will never be the same ???? Made a mess of my first nappy change yesterday... I respect full time fathers.